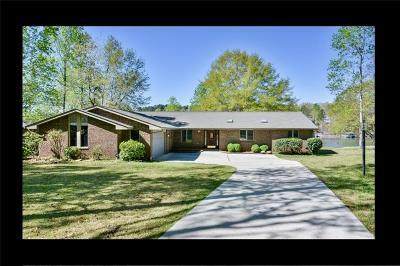 This one level ranch home was built circa 1995 on a double lot! 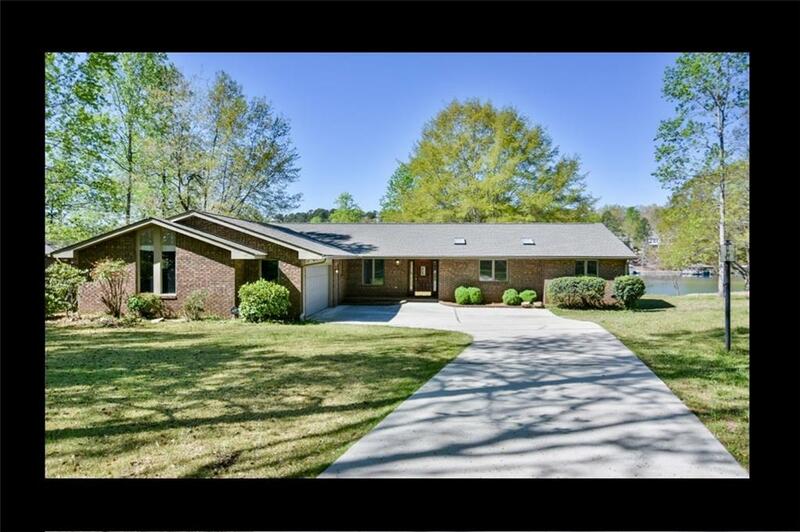 There is a separate, detached workshop on the left side of the house facing Lake Keowee. A strip approximately 15.25 ft wide was deeded to the neighbor on the right and extends to the water (this past winter). This property is virtually flat. There is a covered dock. This home was built for down-sized living and features three bedrooms and two full plus a powder room off the kitchen and laundry room. The roof is new as of December 2018. The deck extending across the back of the home has been replaced. The home is ideal for the family that desires Lake Keowee living on a smaller scale with a very, almost flat homesite. Elrod Sound is the name of the development. The covenants do not restrict short-term rentals. The covenants are in the supplemental documents available from the multiple listing service. The information provided is believed to be correct. Buyers to verify the information provided. This home is being sold "AS IS, WHERE IS". The dock tag is 1323. There is a $350 dollar dock transfer fee to the new buyer(s). Buyers may wish to have property resurveyed.